The Good Clinical Practices (GCP) codes are meant to set globally applicable standards for the conduct of clinical trials on pharmaceutical products on human subjects (1). They are “an international ethical and scientific quality standard for designing, conducting, recording and reporting trials that involve the participation of human subjects”. Compliance with GCP “provides public assurance that the rights, safety and well-being of trial subjects are protected, consistent with the principles that have their origin in the Declaration of Helsinki, and that the clinical trial data are credible” (2). Early critics of the ICH GCP code contended that it derived from informal consensus (considered as the weakest approach to guidelines development) and that it was written in absence of a systematic up-to-date search for the relevant literature (4). Others argued that the international GCP codes were “created by a small number of regulatory agencies and drug companies from industrialized nations, with little input from developing countries” (5). Leading academic researchers also contended that the international GCP codes lack consideration for the challenges met by clinical researchers in LMICs (6, 7). The latter is not surprising. While other guidelines and regulations are subject to periodical revisions, the WHO and ICH GCP codes have not been updated since 1995 and 1996 respectively. Thus, they reflect the situation of more than twenty years ago, when multi-centre clinical trials were mainly conducted in Western contexts, and they do not take into account the challenges met today, in the context of “globalization of clinical trials”, with more and more trials carried out in LMICs (8). Since the international GCP codes guide and orient most national legislators and most funding agencies, their failure to address the challenges of researchers in LMICs may result in insufficient protection of research subjects and communities in these contexts. We are not aware of any update of WHO GCP. Conversely, a partial revision of the ICH GCP code is ongoing, to modernize it “by supplementing with additional recommendations which will facilitate broad and consistent international implementation of new methodologies” (http://www.ich.org/fileadmin/Public_Web_Site/ICH_Products/Guidelines/Efficacy/E6/E6_R2__Addendum_Step2.pdf). The fact that the revision was accompanied by an open consultation (till 31st January 2016) surely provided a positive opportunity to try to have an impact. But the update process was poorly known and it does not seem sufficiently inclusive. In practice, it is not clear whether significant inputs came from the non-ICH region, and to what extent they will be taken into account. If GCP codes are meant to set standards pertinent and applicable at global level, then a more comprehensive revision is needed, characterized by more transparency and more inclusiveness. In particular, adequate representation of researchers, sponsors, regulators and ethical reviewers from LMICs should be ensured. The revised guidelines should be strongly rooted in ethics, be sensitive to the different cultural and social perspectives, and take into account trials- and context-related challenges, for being at the same time “global”, “context centered” and “patient centered”. This paper derives from a doctoral thesis, “Methodological and ethical challenges in non-commercial North-South collaborative clinical trials”, carried out at KU Leuven (Belgium). The manuscript is available at https://lirias.kuleuven.be/handle/123456789/517274. After a seven-year experience as a Clinical Research Scientist in the private pharmaceutical sector, she worked in emergency and development programs in the Balkans and in Africa. In 2002, she joined Médecins Sans Frontières (MSF), where she followed various dossiers on access to essential medicines and quality of medicines, while performing regular field assessments. 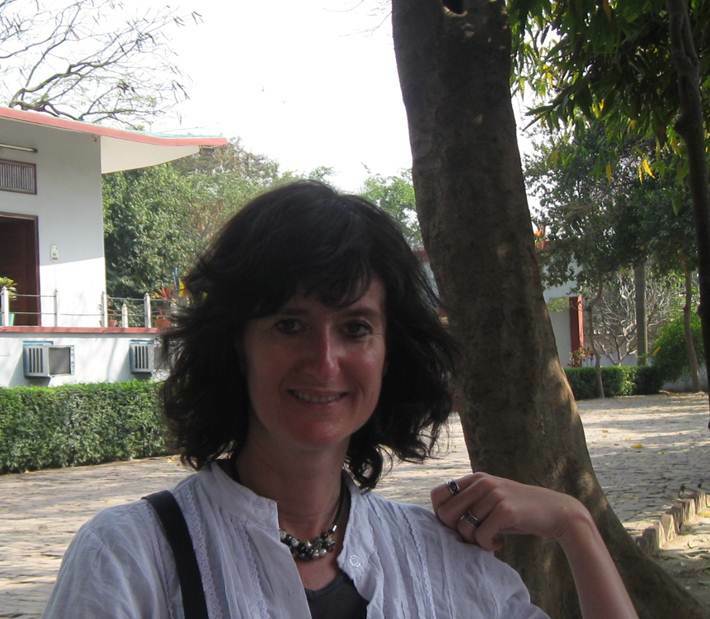 She currently works at the Antwerp Institute of Tropical Medicine, as head of the Clinical Trials Unit, coordinator of the Switching the Poles Clinical Research Network and promoter of Quamed (a Network promoting evidence-based strategies for universal access to quality medicines). She was president of the Italian branch of MSF (2007-2011). Her main areas of interest include North-South collaborative clinical research, research ethics (particularly in relation to resource-constrained settings) and access to health.